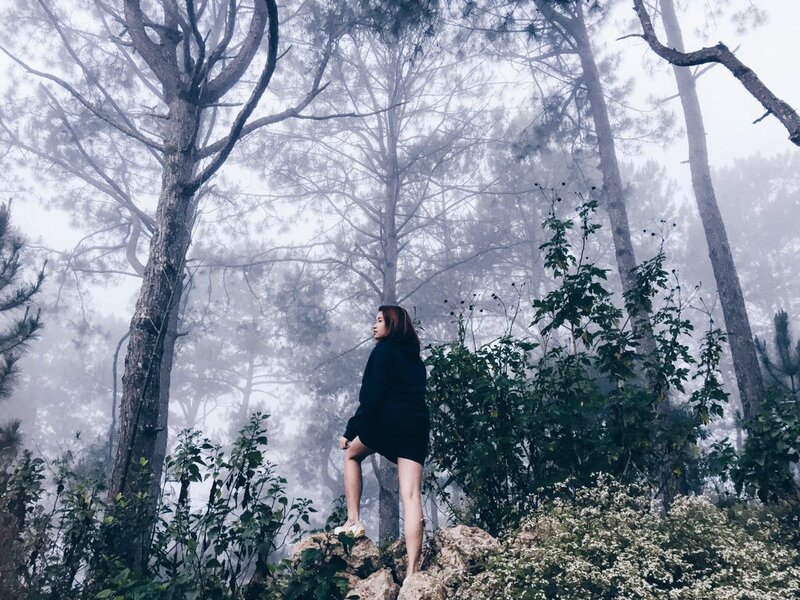 The chilly weather is here again and this made me miss Sagada. This small tranquil town in the Cordillera Mountains claimed its place in my heart with its laidback atmosphere, cool weather, luscious foods, warm and welcoming locals, rich culture, and of course its unique natural beauty. Traveling from Bicol to Sagada was not a joke at all! Nine hours of bus ride from Naga to Manila and another nine hours of van ride from Manila to Sagada - that's a total of 18 hours of land travel (oh the horrors of my aching bottom and cramped legs)! But it's all worth it! Ginusto namin to eh. Haha! 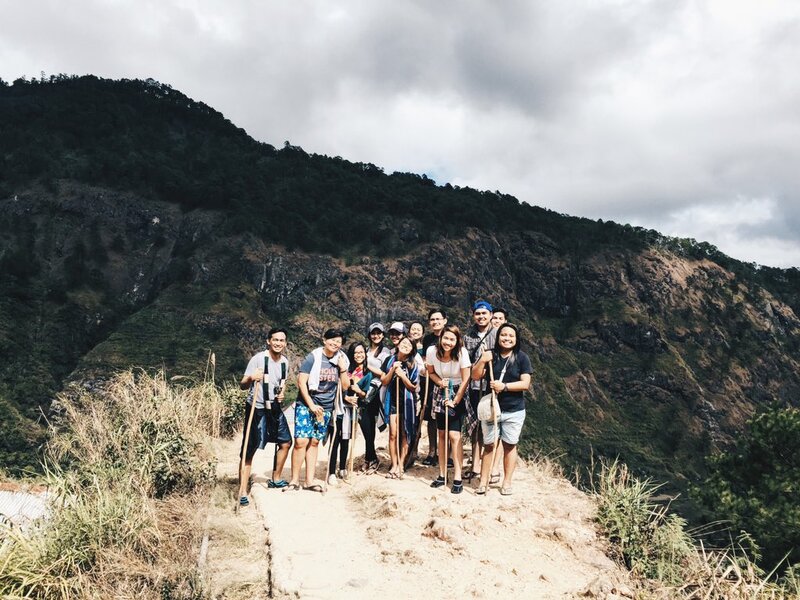 We availed a travel agency tour for this so we spent around P7,000 all-in for 3D2N: P1,300 for the round trip bus ride from Naga to Manila; P3,000 for the tour itself which includes transportation from Manila to Sagada vv; accommodation and fees for the places we will be visiting; and P2,700 for our food, pasalubong, and other expenses. Expect a tour full of nature tripping - trekking, cave exploring, and a lot of hiking. 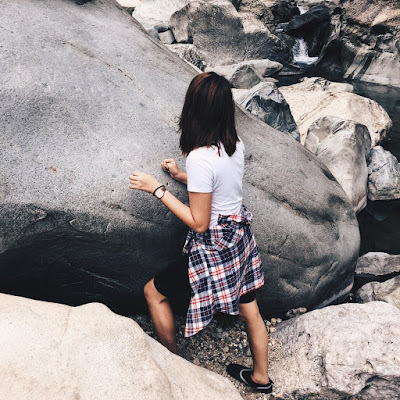 Best to prepare active wear for the treks and hikes (preferably rashguards and leggings), comfy shoes, loads of water for hydrating, waterproof bags for your gadgets, and thick jackets for those who have low tolerance for cold temperatures like me. We are dropped off to Brgy. Banga-an which is the starting point of the hike. A local tour guide accompanied us plus hiking sticks were provided. 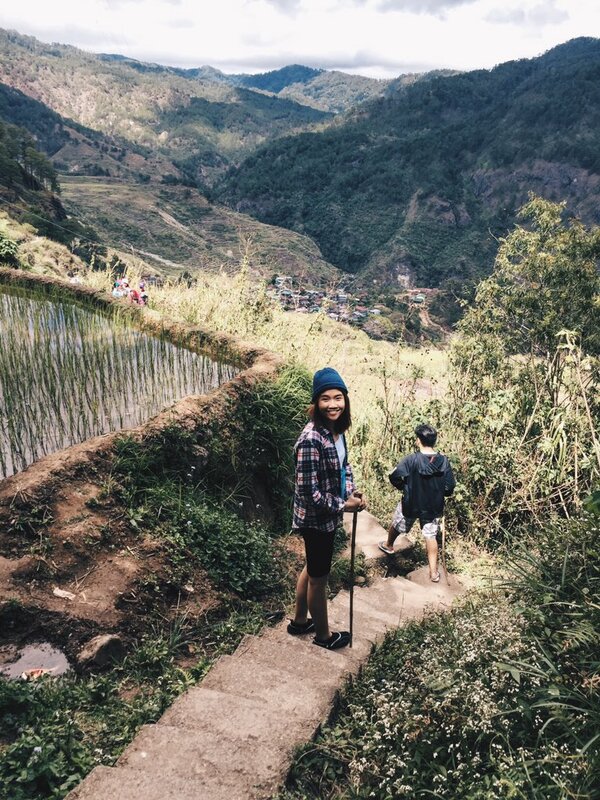 The one hour trek to the falls was fairly easy for us - we enjoyed the scenery specially the rice terraces, we also got to know some local culture/practices when we passed through a small barangay, and of course, we took a lot of pictures. Once we arrived, some took a dip in the VERY cold waters of Bomod-ok falls which is also locally known as the "Big Falls" due to its size. I decided not to dive in the waters because, as I have said, I have a low tolerance for cold and I might freeze to death. Hahaha. So I just enjoyed the scenery which was more than enough! On our way back, our guide told us that there's a shortcut back to the dropoff point. Being millennials who prefer having things as fast as Taylor changes partners (LOL), we decided to take that path. 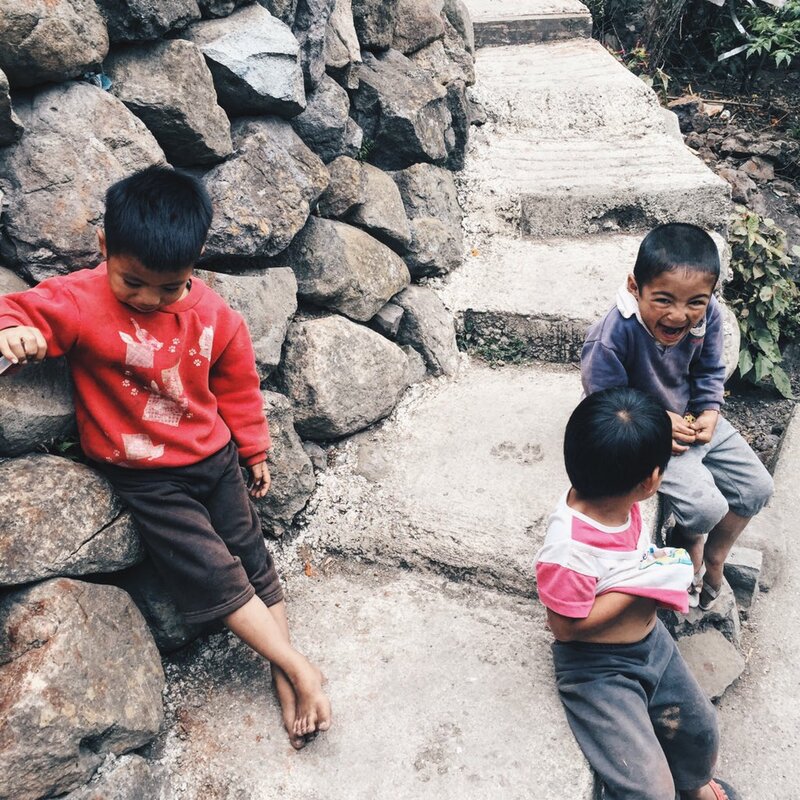 While in the middle of our trek back, we started to regret our decision. Though the steps are cemented already, it was very VERY steep and tough to climb! I'm not exaggerating but that could have been the death of me! Here's a good advice: Do not be fooled by the "shortcut"! We woke up around 3am and waited until 5am just to see this view. 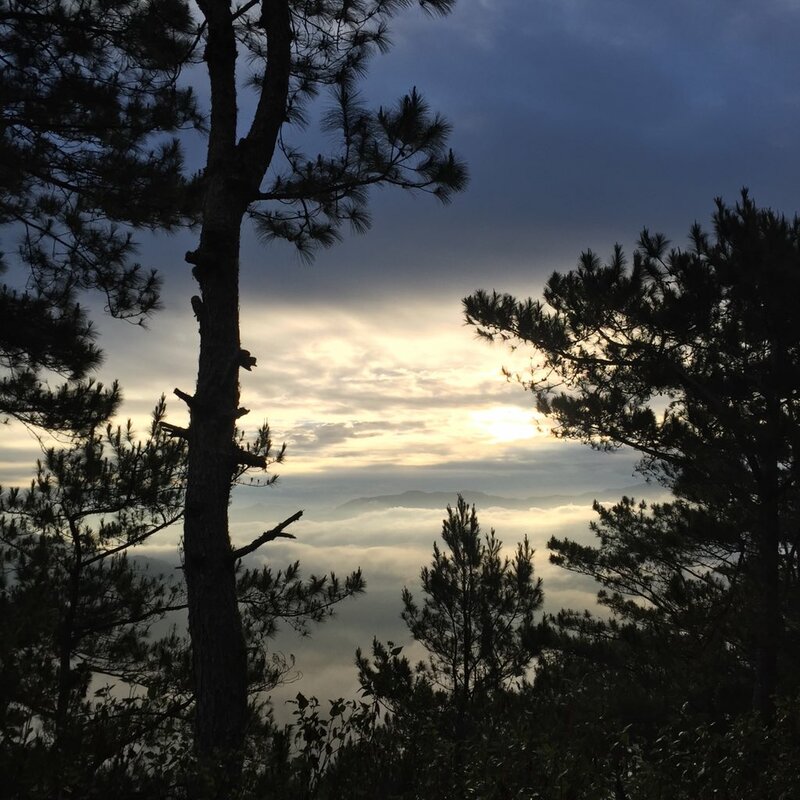 You can experience the famous sea of clouds and as the sun slowly rises, the picturesque view of the overlapping mountains from afar and the beautiful rice terraces of Sagada slowly emerges. 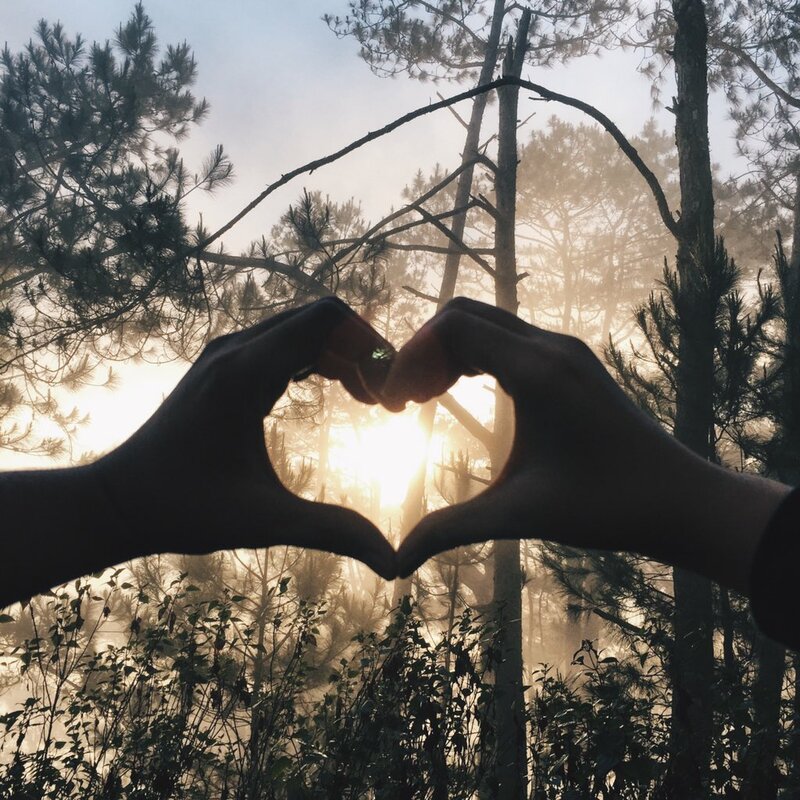 Due to the popularity of the place because of the movie "That Thing called Tadhana", expect a flock of tourists when you visit. I was quite frustrated, not because of the crowded place, but because tourists just leave their trash after enjoying the sunrise. Please bear in mind that it's our personal responsibility to keep these tourist spots still as beautiful. 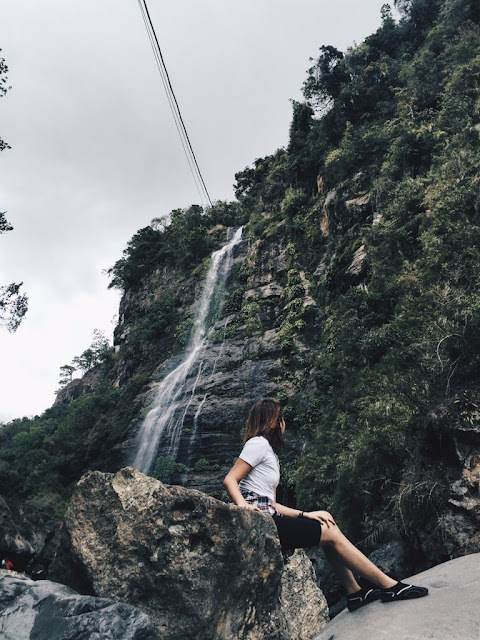 Sagada is well-known for these two caves which are perfect for adventurous tourists who want to have an extreme cave experience. Sadly, we decided to skip this because we got too exhausted with the previous day's activity. Instead, we just visited Lumiang Cave's entrance which serves as the burial place of Sagada's native ancestors. Wooden coffins are stacked one after another creating a great wall that signifies how rich their culture is. 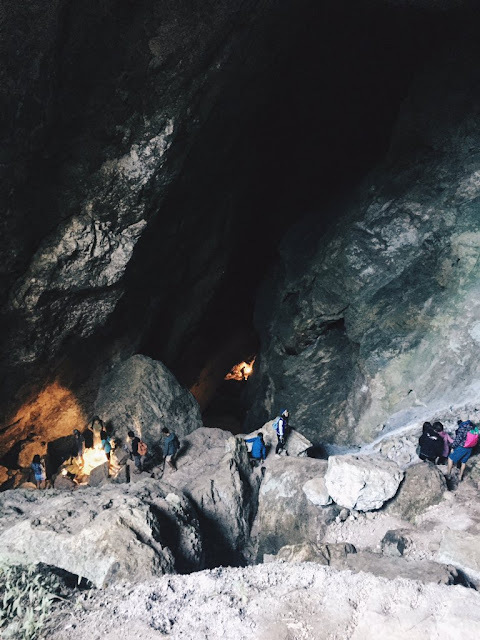 The photo on the left shows some of the tourist entering the cave's mouth which is the start point of the Cave Connection activity which offers an advanced spelunking experience from Lumiang Cave to Sumaguing Cave. Gaia Cafe also gained popularity because some of the scenes from That Thing Called Tadhana was shot here. Aside from that, its cliffside location gives customers a fantastic view of Sagada. The owner's house can also be seen below and you would wish to have the same vacation house for yourself. They serve healthy sandwiches, pastas, and coffee. What's good about Gaia Cafe is that their ingredients are locally grown by the owners themselves. They promote local art and products to boot. 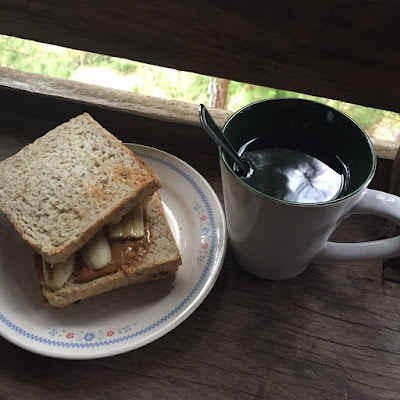 A must-try is their peanut butter and banana sandwich! Promise masarap! 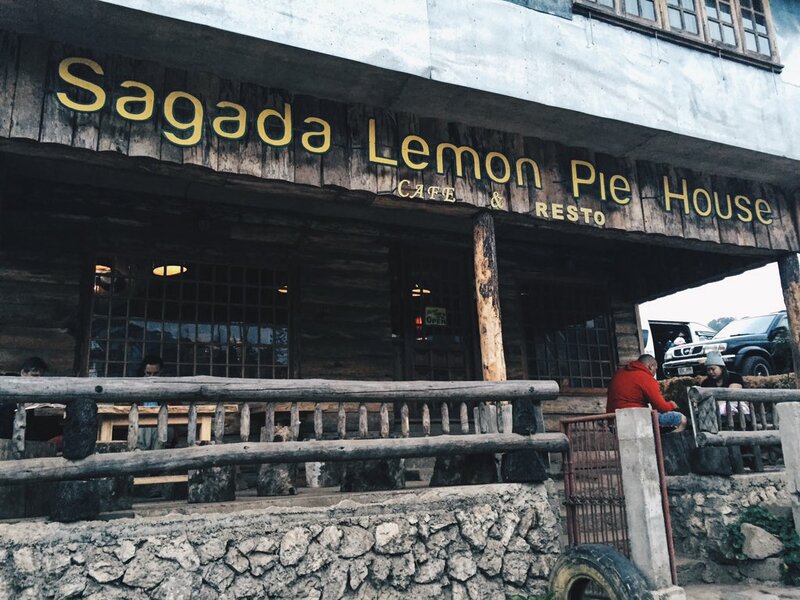 One of the most visited restos is the Sagada Lemon Pie House. 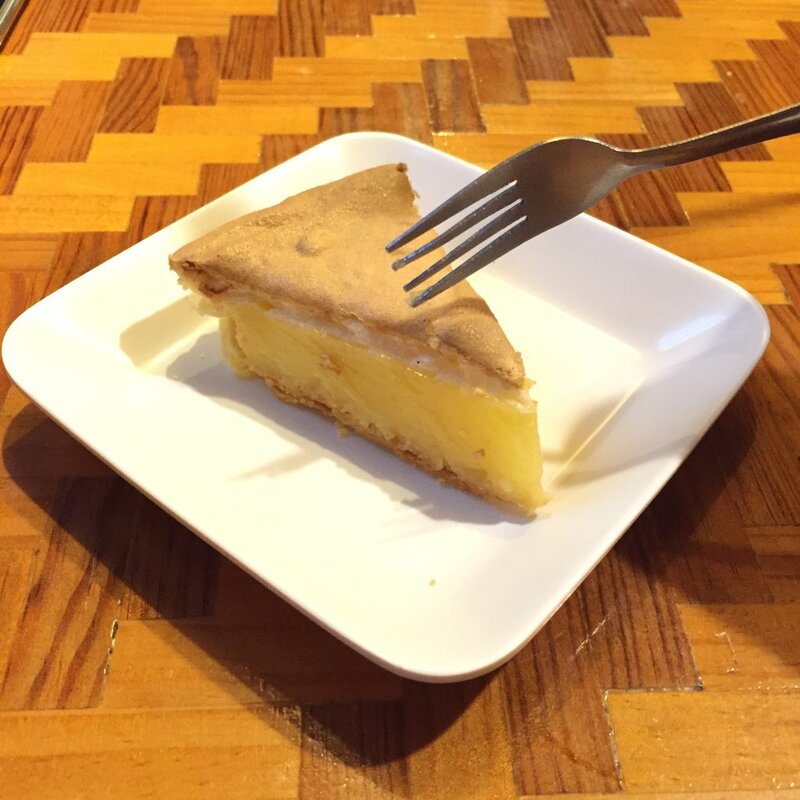 They are known for their lemon pies and their bountiful serving of rice meals. 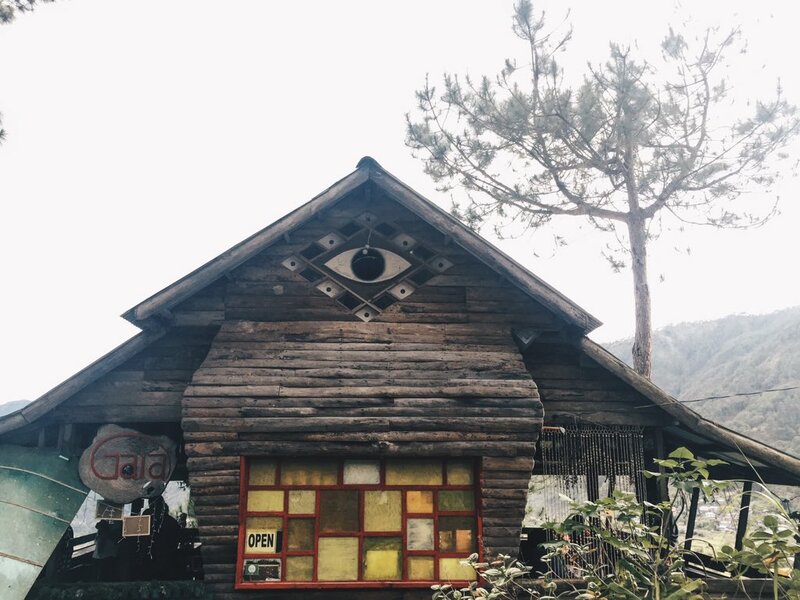 I recommend dining here after a tiring hiking activity because you will feast on a plateful serving of their delicious meals! 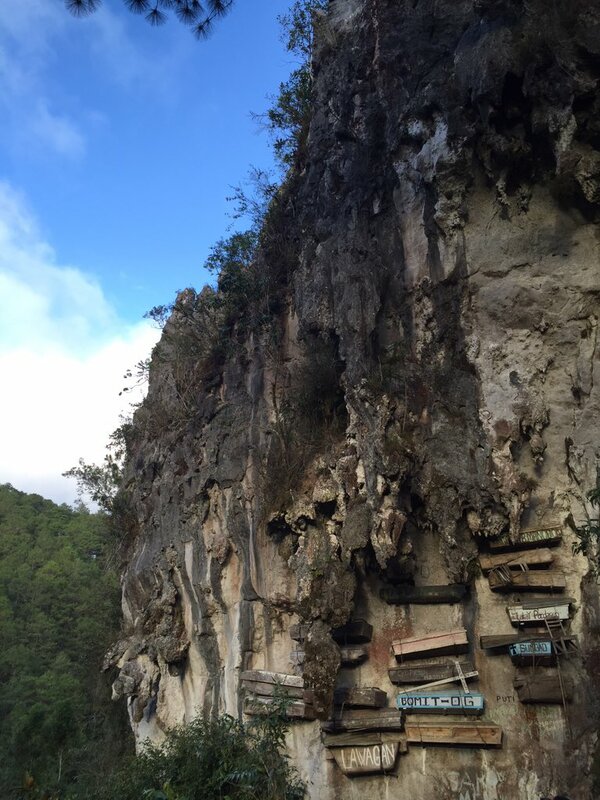 The Hanging Coffins is an iconic place in Sagada. It is just amazing and creepy at the same time to see it up close. I really got curious on how they hung them high up at the side of the mountain. 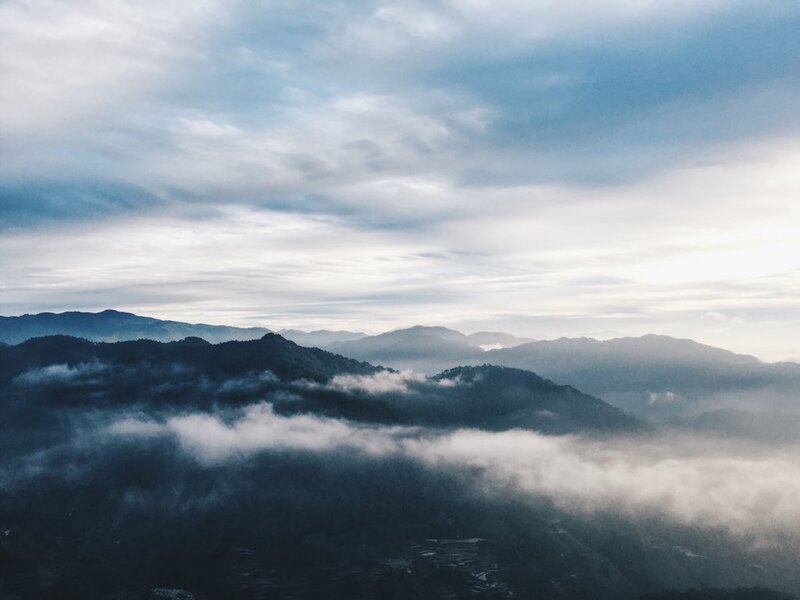 They believed that placing the dead in a high-resting place will get take them closer to God. They also put the dead in a fetal position which symbolizes new life, thus the short coffins - one may think that it's a child that's inside those but those are fully grown adults whose knees have been folded to its chin. Though this might seem odd to some, respecting the culture of Sagadans is a must. 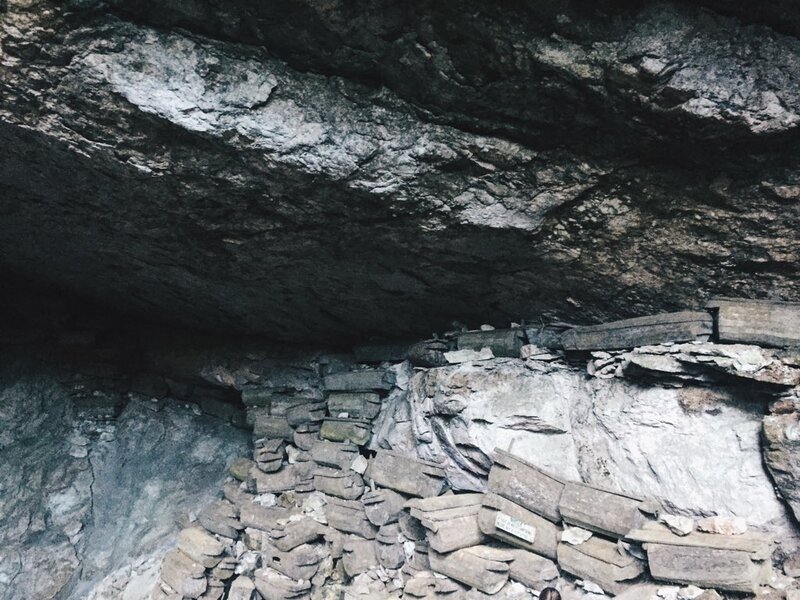 We were advised not to shout during the trek in Echo Valley since it is still the resting place of the departed. 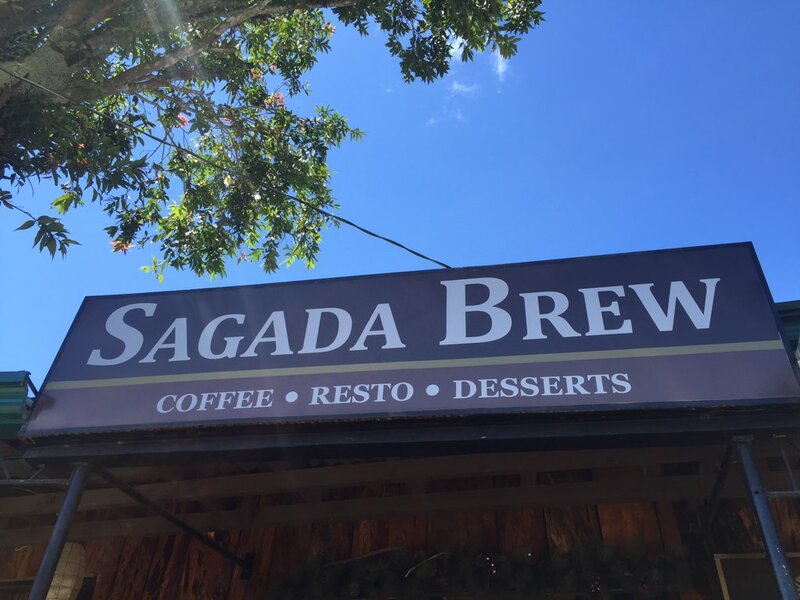 Sagada Brew offers some of the best coffee, pastas, and desserts. This place is perfect for an afternoon tambay. 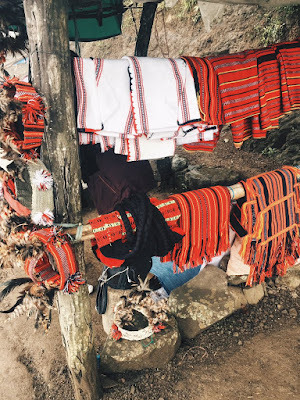 Of course we didn't leave Sagada without souvenirs and pasalubong. 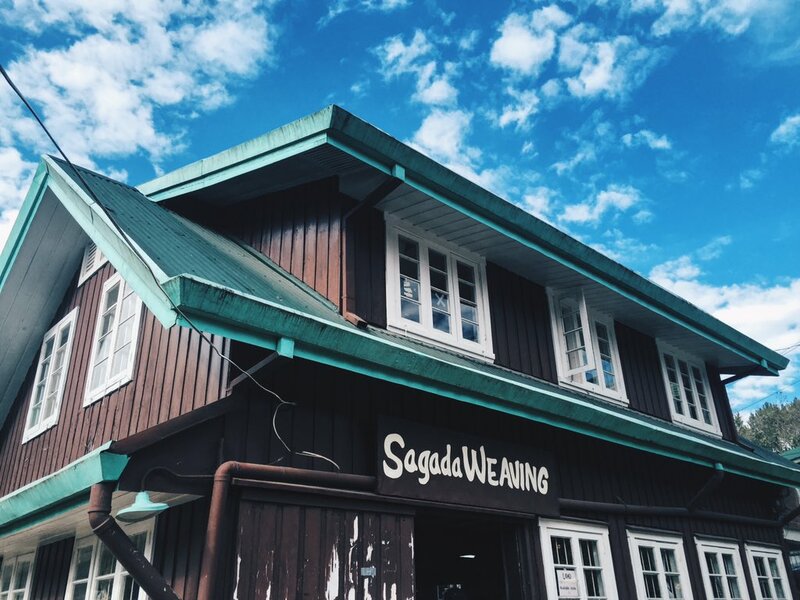 We visited Sagada Weaving where native handmade textiles were made into bags, wallets, keychains, and more. It's mesmerizing to see how the fabric is made. Taking pictures is prohibited in the weaving area, but really, just take my word for it! That's it! I hope you find this post helpful. 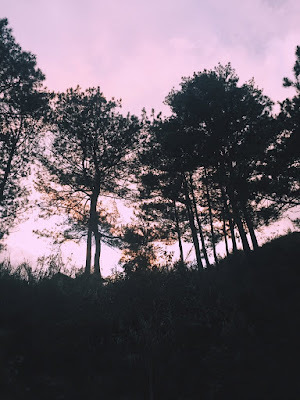 If you have been to Sagada, feel free to comment your tips and suggestions, too. I'd love to hear from you! 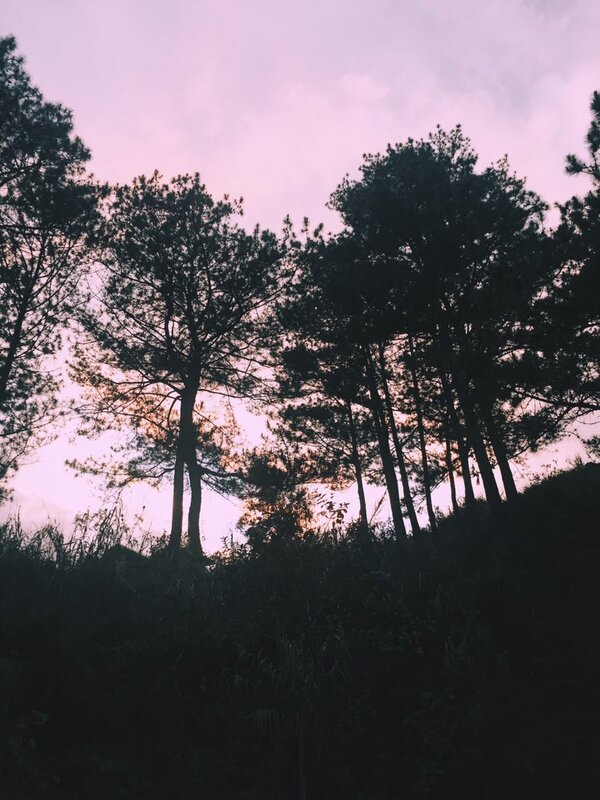 When is the best time to visit Sagada? Hi Kristine. 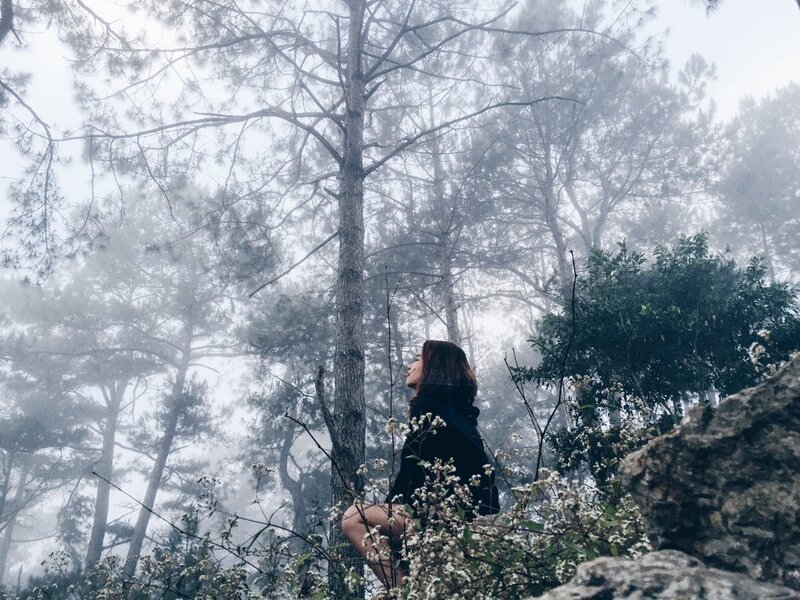 November until February is the best time to visit Sagada. We had our trip last February and the weather is cool and dry. 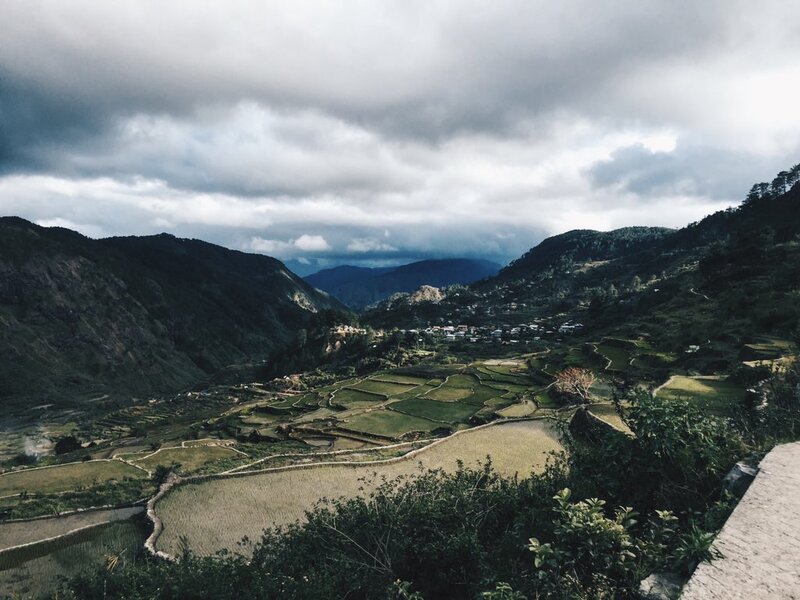 Don't try to plan your trip during rainy seasons since it would be hard to hike and visit caves. Hope this helps! Goodluck on your trip!